The Royal Mint has been producing coins like the Britannia, since A.D.886. There does not exist a more historic coin than this one! 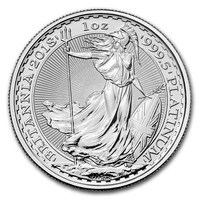 The British Royal Mint coins are known for their elegance, class, superior quality and international prestige. 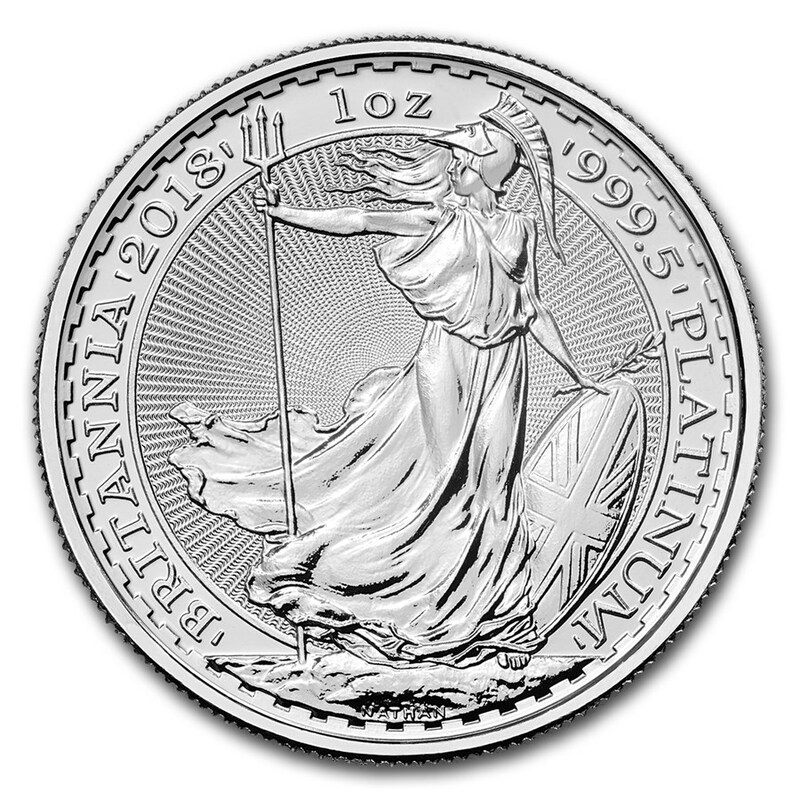 The coin depicts Britannia, the female personification of Great Britain. This female personification has been a popular cultural figure since the 1st century, and she was always associated with the British Isles. Britannia closely resembles Boudica, the Queen of the British Celtic Iceni tribe. Boudica was a heroic figure in British history, as she started an uprising against the Roman forces in circa 60 A.D. Since Britannia’s act of bravery, her image has served several coins starting off at being the face of each penny, to finally advance to the 50 pence coin in 1797. 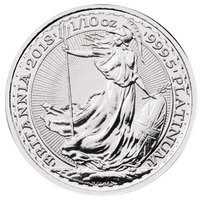 For the Royal Mint, this is the first ever Platinum Britannia coin, as with a .9995 purity. On the obverse side, it features Queen Elizabeth II, while on the reverse we can see the courageous figure of Britannia, a hero of the people, and a national symbol of Great Britain. She is the symbol of Britain freedom against the Romans, of Britain strength and their integrity. At Gold Avenue, we want to ensure that you make your ideal purchase. These Platinum coins are a favorite all around the world. They are offered in one size, and they are available to those with a lower budget because of their fair price. 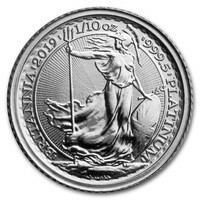 The Britannia coin would make a wonderful addition to any precious metals portfolio and an excellent investment option to first-time investors, or keen collectors.